Attorney For Maria Butina Says 'Whole Story' Is Still Not Known About His Client Robert Driscoll told NPR that Butina, who is facing charges of conspiring to act as a Russian agent, will "be proven innocent in this case." Maria Butina, photographed in 2013 at a pro-gun rally in Moscow, is charged with conspiring to act as a Russian agent. Sitting in an orange jumpsuit in a Washington courtroom this week, Maria Butina was either an agent of the Russian government, as federal prosecutors allege, or a just an international graduate student targeted for her nationality, as her defense contends. The Justice Department charged Butina on Monday with conspiring to defraud the United States and acting as an unregistered foreign agent. She faces a penalty of up to 15 years in prison, according to the federal district court judge who presided over a pretrial detention hearing this week. Attorney Robert Driscoll, who is defending the 29-year-old, spoke to NPR's Scott Simon on Saturday. His comments offer insight into the defense he will mount on her behalf. Driscoll said that in spite of communications described in the government's complaint, people don't have the full story when it comes to Butina and a Russian official named Alexander Torshin. "I think if people know the whole story of their relationship, Alexander Torshin and Maria, they would understand." He characterized that relationship as two friends who have exchanged "thousands of messages, pictures of dogs and questions about picking up American toothpaste." The attorney said they met at a gun rights group in Russia and that their relationship has nothing to do with Torshin's position — once a politician and now a top official at the Russian Central Bank who has been sanctioned by the U.S. government. The relationships she fostered through the NRA and the gun rights group she founded in Russia, he said, simply represented "like-minded groups seeing how the other half lives." He also cast doubt on the implications of Butina's interactions that were outlined in the government's complaint. "For starters, you're reading Twitter direct messages which are unencrypted," he said. "I would imagine that Russian intelligence probably communicates in different ways than that." When asked how a graduate student could afford Driscoll's services, he said, "I don't discuss my arrangement with her but rest assured that she's my client and she's the one controlling the defense of this case." 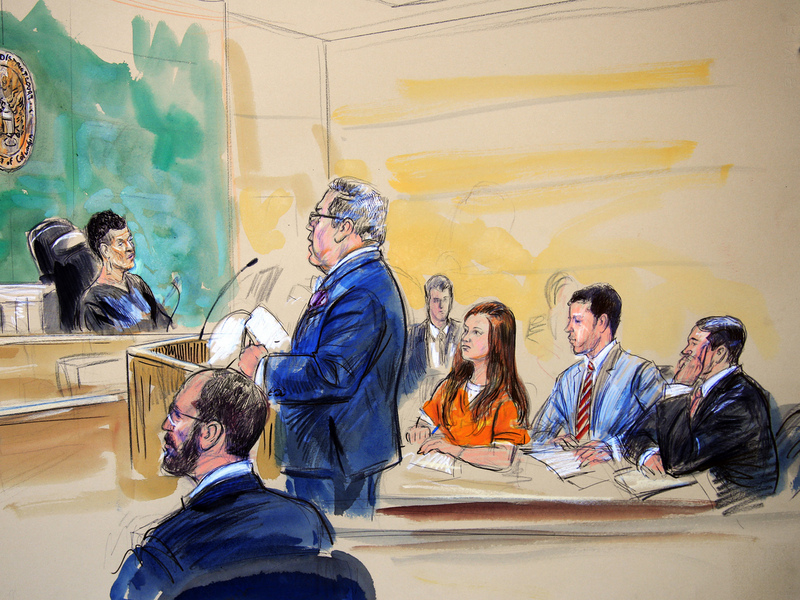 A courtroom sketch depicts Butina as she listens to her attorney, Robert Driscoll, during a hearing in federal court in Washington on Wednesday. A former deputy assistant attorney general for civil rights, Driscoll once represented former Maricopa County Sheriff Joe Arpaio when he was accused of failing to turn over arrest records and other materials sought by the government as part of an investigation into Maricopa County's treatment of Hispanics. President Trump pardoned Arpaio of a criminal contempt conviction last year. Driscoll also represented Jason Lundell, a Republican staffer who was blamed in a 2004 Senate report for "snooping" on Democrats, systematically downloading and distributing thousands of memos. He also represents corporations and government entities. In the courtroom, with staff from Russian government offices and members of Kremlin-funded RT and Sputnik outlets nearby, U.S. prosecutors tried to paint a picture of Butina as a person secretly working to advance her country's interests with the help of Russian intelligence. In court this week, Driscoll said Butina's case was not connected to the indictments of 12 Russian intelligence officers earlier this month, the Lawfare blog reported. "I think our minds fill in lots of things when you see a tall redhead with a Russian accent," Driscoll told NPR. Russian Foreign Minister Sergei Lavrov told Secretary of State Mike Pompeo on Saturday that Butina was detained on "fabricated charges" and should be released, Reuters reported. Earlier this week, Russia's Ministry of Foreign Affairs changed its profile picture on Twitter to a sunny photo of a smiling Butina. 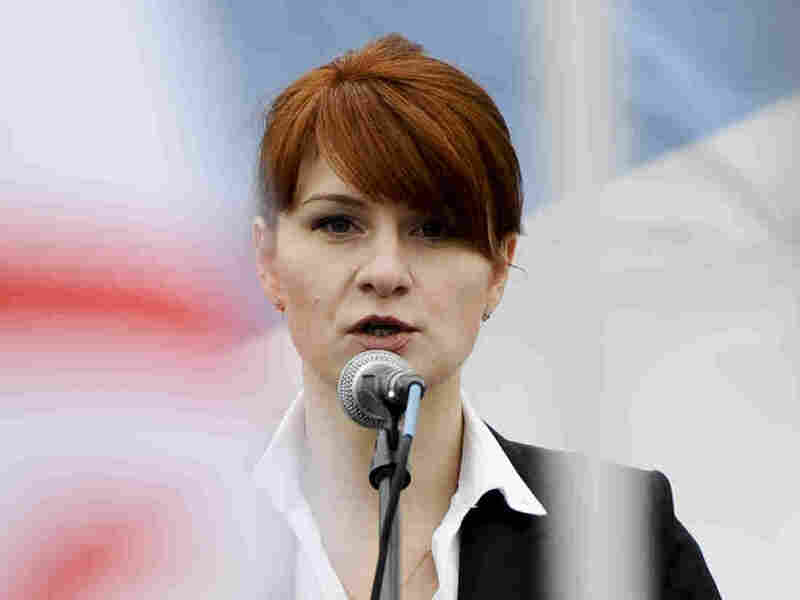 It tweeted, "#NewProfilePic #FreeMariaButina." Sarah Knight contributed to this report.